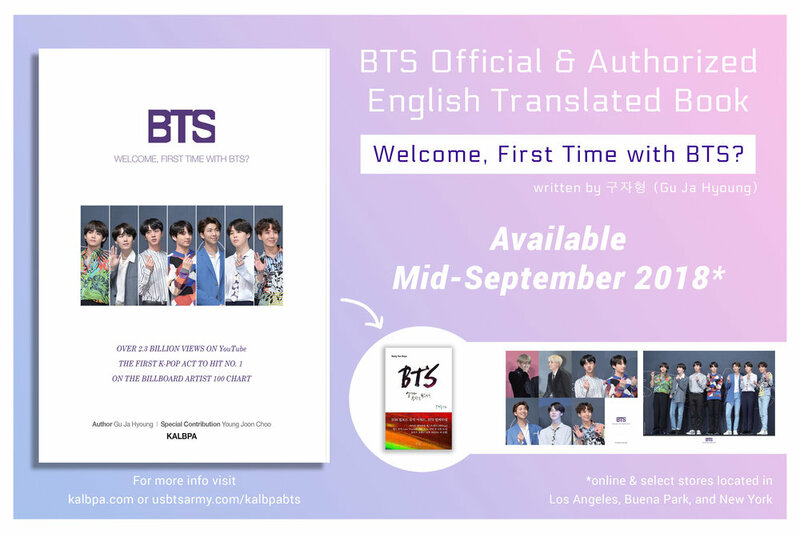 Originally written by Gu Ja Hyoung, an older (senior) Korean male singer/musician, "Welcome, First Time with BTS?" is about how the author feels about BTS’ music, lyrics from various albums, and their journey toward their well-deserved fame. Author Gu Ja Hyoung takes sections of BTS’ song lyrics (English Translated) and provides his own personal analysis of the relationship between the words, their meanings, and legendary historical figures and events. He also provides some insight about how BTS' themselves feel about their success. In addition to the author's viewpoint on BTS' musicality and success, the book offers photos of the seven good-looking and talented members. This book is officially available and can be purchased online (and internationally) on KALBPA's official site. It will also be sold in select stores located in Los Angeles, Buena Park, and New York. Details coming soon. The giveaway starts now and ends on Friday, September 7th.